The institute was involved in the creation of both the Software development and Business Management as well as the Informatics / Computer Science study program. From our 2 START awardees and 3 promotions under the auspices of the President of the Republic to our entrepreneurs and Horst Bischof becoming our University’s Vice-President for Researchwe are proud of everything that members and former members have achieved. But you know what, maybe you should read it the classical, chronological way. That year marks the start of Graz University of Technology. Classes started in December with Lorenz von Vest as the professor of Chemistry and Botany. The School was sponsored and presided by Archduke John . Over a few decennia, the entire spectrum of technical academic disciplines had been developed from Architecture via Mechanical Engineering to Physics and Chemistry. Computer Science is the most recent field of academic endeavor to be included in the University’s organization and offerings. There is no exact starting date associated with “computing” as a University subject in Graz. The Institute for Numerical Mathematics had been offering classes in computing to students of Applied Mathematics since the late 1960’s. 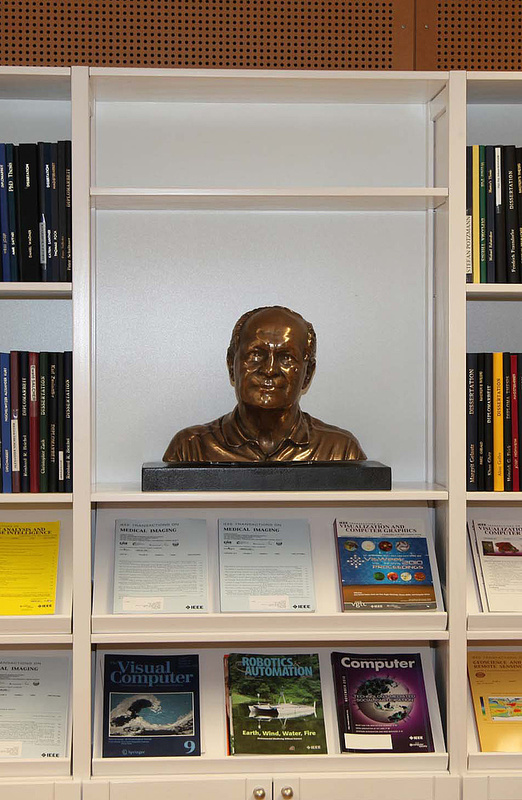 A new institute for Information Processing was formed and Prof. Hermann Maurer was the first to be employed for a working position in computing in 1977. It was considered as an extension of the team in Applied Mathematics. At that time, Applied Mathematics was part of a School of Applied Science . The University’s degree programs did not include computer science. In fact, efforts that were made in the late 1970’s and early 1980’s to establish such a program, failed. One needs to understand that at that time, Universities in Austria were subordinate agencies of the Ministry of Science and were centrally managed by Ministry staff in Vienna. It was the policy of them to limit Computer Science programs to Vienna and Linz. Therefore, the University of Technology in Graz defined a novel program entitled “Telematics” as a combination of classes in Electrical Engineering and those in Computer Science. At the offices of the Ministry, this was not seen as a Computer Science degree program and therefore the central authorities approved the start of this new curriculum for a kick-off with the academic year 1985/6. That year saw the inception of the Institute for Computer Graphics and Vision. Hundreds of new students had enrolled each year. This roaring success of Telematics pointed to the need for more professorships for computer science. This led to the ministerial budget approval for the creation of several new professorships and associated institutes. In 1988, one of three new professorships was argued by the need to address Computer-Aided Design [CAD] at a Technical University. Therefore a new professorship was assigned to the Institute for Geometry within the team for Applied Mathematics. The professorship was internationally advertised under the name “Computer-Aided Geometry and Graphics”. The competitive selection process by the University’s selection committee placed Franz Leberl on top of a list of three candidates. The Minister of Science then invited him in early 1989 to negotiate at the Viennese Ministry the conditions of acceptance of the position. An agreement was reached that Franz Leberl start in his professorial function on 1st of October 1992. Those negotiations also resulted in a decision to install a new Institute of the same name for this professorship. During the 3 intervening years until 1992, funds were made available by the Ministry for visiting professors to address topics of the new professorship. The 1st of October 1992 saw a new Institute within the School of Applied Science at Graz University of Technology. The German-language-name “Computerunterstützte Geometrie und Grafik” was translated into the English name “Institute for Computer Graphics and Vision”, thereby signaling a different focus than “geometry” does. The start day for the Institute was identical with the first work day of the new professor. He was one single individual on staff. Instead of accepting a new professor’s right to an introductory semester without teaching obligations, a sense of duty prevailed. In the first week of October 1992 a 3-hour class started on Computer Graphics for approximately 300 students of Telematics and Applied Mathematics . This initial class took place on the first work day of the new professor. Funds for the new Institute were budgeted on the basis of the 1989-negotiation with Ministry staff in Vienna. This negotiation resulted in four positions for scientific staff: one for administration, one for technical support, and around € 0.9 million for equipment. At the time, this was an exceptionally well endowed professorship. Interviews for new staff were conducted and by the 1st of January 1993 all 6 positions were filled. The initial team of University Assistants consisted of 3 recent graduates of Telematics including Konrad Karner, Raimund Seywald and Margrit Gelautz. The fourth person was Michael Gruber with a diploma in photogrammetry and several years of practical work experience, for example at Joanneum Research in Graz. Margrit Gelautz had previously earned a Master’s degree in Mathematics from Graz University. When she was in preparation for a teaching career she abandoned it to enter an engineering education in Telematics. The administrator was Andrea Zunegg. Technical support was provided by Dietmar Eggbauer, followed in December 1994 by Andreas Wurm who had completed a technical high school diploma in electrical engineering. 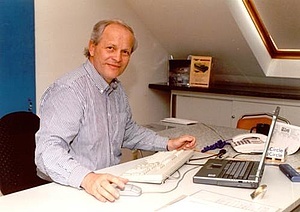 Konrad Karner and Raimund Seywald were assigned roles in Computer Graphics and Margrit Gelautz and Michael Gruber were specialized in Computer Vision. It is customary for new professors to introduce themselves to the entire University by a way of an inaugural speech . This specific one took place in the early 1993. The image below is a memento from that event. 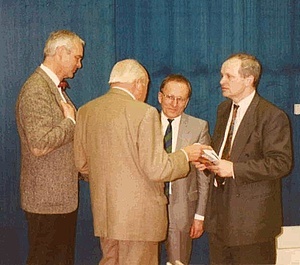 After the inaugural lecture in the early 1993 the then president of the university, Prof. H. Kahlert (standing next to Franz Leberl), consults with the owner of Anton-Paar GmbH, Ulrich Santner (with his back to the camera), and Prof. Cerjak, professor of mechanical engineering (left). For an anniversary celebration to make more sense, one needs to have some research results and demonstrations. The team felt sufficiently strong to present itself to the University and the public in 1995 and therefore organized a 3rd anniversary during the 1st week of October 1995 by the means of an Open House. A number of research grants had been won and numerous research staff had been hired for multiple projects. The open house was also attended by the university’s president Hartmuth Kahlert, a professor of physics who was somehow surprised about the level of activity he could review. It led him to the question: “Is this all for real or just a Potemkin’s Village”? It was for real, of course. Austrian politics accelerated changes to the Austrian University system. In 1996 they were still subordinated offices of the Ministry of Science. Professors were thus still civil servants and grade reports were governmental expert testimony. It will not be a surprise that the Ministry concerned themselves with structuring the university into Schools and Institutes. They noticed that in Graz there existed an Institute for Geometry as well as an Institute for Computer-Aided Geometry, but both in the same School of Applied Science. The Ministry concluded that this was unnecessary and decided that these two should merge. The reaction in Graz was rather fast and resulted in a name change to Maschinelles Sehen und Darstellen. This was a loose translation of the English language name that had been chosen in 1992. A more exact translation would have been “Machine Vision and Visualization". The merger debate was off the table. The Institute had originally been located in rental offices in a building at Münzgrabenstrasse 11 in Graz. The attic space under the roof had been adjusted to the University’s specifications. This image shows the professorial office under the roof. Professorial desk and office at Münzgrabenstrasse 11, Graz. This was the Institute’s home from 1992 to 1999. By 2012, we had counted a steady stream of 34 visiting scientists enriching life at our Institute. The following singles out those who have spent a semester or more. The institute made intensive and successful use of the University’s budget for visiting professors. The first visitor was Michael Gervautz who spent the academic year 1995/6 at the Institute as part of a leave from his a.o.Prof.-position at Vienna Technical University’s Institute of Computer Graphics. 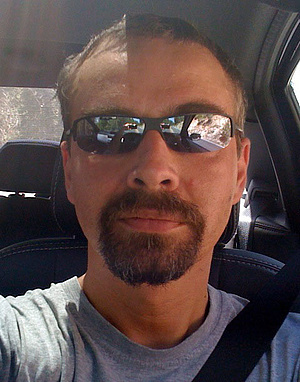 Michael Gervautz took on the task of revamping the Computer Graphics courses and to stimulate research in this area. He later left his academic career, started a business and successfully sold it to Qualcomm where he now is involved in directing Qualcomm’s Vienna research company. At the same time, Axel Pinz had also been on a multi-year visiting position under an arrangement with his Pattern Recognition group within the Institute of Automation at Vienna University of Technology. 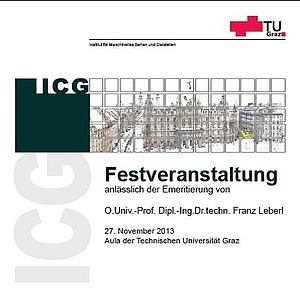 Axel Pinz still had to complete his Habilitation thesis and wanted to submit his material in Graz. Officially he remained in his tenured position in Vienna, but he was assigned to work in Graz. To make this transfer possible, the Graz Institute funded replacement staff in Vienna from research funds. Axel Pinz achieved his Habilitation at the Institute and to this day remains affiliated with the institute by virtue of this habilitation. During his years at the Institute, he developed new courses in Computer Vision. Since he was a tenured staff in Vienna his habilitation automatically provided him with the title of a.o. Prof. in Vienna. He remained assigned to work at the Institute in Graz as a visitor. This arrangement ended in 1999 when he won a full time tenured assistant position as a.o.Prof. at the School of Electrical Engineering in Graz. Together, Gervautz and Pinz achieved a great deal during their joint visit. In 1996 they defined a project entitled “Studierstube” and with funds from the Austrian Science Fund FWF developed an innovative augmented reality infrastructure which is still in use 15 years later. 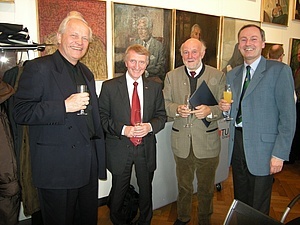 Michael Gervautz was able to attract several doctoral candidates in Vienna upon his return there, among them Dieter Schmalstieg. Another important visitor was Prof. Milan Sonka from University of Iowa’s Department of Electrical and Computer Engineering. Originally from Prague, he had organized a sabbatical period with his family visiting in Prague while he wanted to be near Prague at an interesting academic institute, and he chose our Institute in Graz. His visit in 1999 resulted in a large cooperative “Virtual Liver Project”. Staff from Graz visited Iowa multiple times, several doctoral theses were completed and medical augmented reality became a celebrated achievement. From 2001 through 2004, thus for 3 academic years, the Institute hosted Prof. Andrej Ferko from Comenius University in Bratislava (Slovakia) as a visiting professor. In Slovakia he is in charge of geometry and computer graphics within the School of Mathematics, Physics and Computer Science. In 1996 we had the first graduates leave the institute with doctorates from the ranks of the original 4 Assistants and also from the ranks of project staff. A second group of Assistants was founded: Stefan Scherer, Regine Bolter, Heinz Mayer and Markus Grabner. 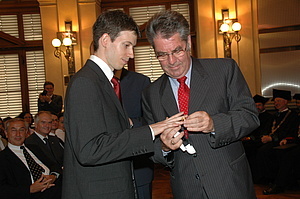 Stefan Scherer had a diploma in Physics, the other three were graduates of Telematics. Their nominal 4-year contracts were all to terminate around the year 2000. 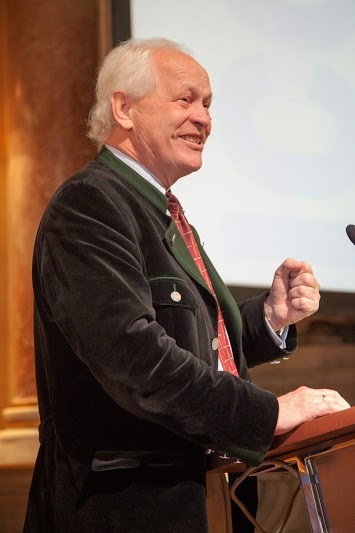 The Institute’s leadership was somehow in limbo during the period 1996 – 1999 due to a 40-months leave of absence of Franz Leberl to assume the position of CEO of Austria’s national research center Seibersdorf near Vienna . With the presence of Axel Pinz at the Institute day-to-day matters of research and teaching proceeded admirably. The formal leadership was with Reinhard Posch, professor and leader of his own Institute. Everything was working very successfully. This 40-months-absence of Franz Leberl ended in fall in the year 1999. At that time it became evident that the then existing team of people would fall apart, no one wanted to stay at the University or the Institute. A Welcome-Back reception by the Institutes’ people from 1999 for Franz Leberl’s return from the function of CEO at the Austrian Research Center Seibersdorf. Stefan Scherer went on to start his own company Alicona and Heinz Meyer went into a position in the auto industry and then into management. Regine Bolter returned to the western state of Vorarlberg and became a professor at the Fachhochschule Vorarlberg and later its Vice-President. Axel Pinz left for a position in the School of Electrical Engineering. This developed into a situation where the Institute was off to a fresh start with new people, just like in the year 1992 but without the support for a new Institute. You could see that the Austrian University structure with Institutes run by a single Professor and assisted by a few pre-doctoral assistants is not working very well, at least in Computer Science. Whatever continuity there was it did not go beyond the lonely professor, the administrator and the technical support person. Research, teaching and technology transfer all suffered from discontinuity and the need to start over every few years. This situation resulted in a campaign to change the Institute’s structure into 3 permanent professorships at the expense of assistantships with the expectation that assistantships, either pre- or post-doctoral, would be funded from competitively acquired research grants and research contracts. To achieve this change within the then existing School- and Institute’s budget a few points were required: assistantships had to be kept vacant, funds for visiting professors had to be applied, extended periods would have to be spent on leaves of absence so that savings in salaries could be applied towards additional positions and research grants and contracts would have to provide overhead contributions to augment professorial budgets. The University’s people accepted the proposals and during the year 2001 two temporary visiting professorships could be funded from the University funds for such visitors. One position for Computer Vision was staffed by Horst Bischof from Vienna University of Technology, the other for Computer Graphics was staffed by Andrej Ferko from Comenius University, Bratislava. This temporary solution lasted until 2004. It introduced the concept of the multi-professor Institute and laid out the funding structure for the creation of permanent full professorships. The Ministry of Science continued to reject the setup of a Computer Science degree program in Graz. However, suggestions came from the Ministry that a degree program in Information Management would be favored. This was defined in a parliamentary decision and no Austrian University had thus far developed such a program. The Institute led a committee to define a degree program under the rules of that parliamentary directive, but they should also try to make the program as close to Computer Science as possible. The result was the degree program Software Development and Knowledge Management. It was approved by the Ministry and the initial enrollment exceeded all predictions. The groundwork for the University to develop a professorship and institute to address knowledge management was also laid. While Telematics is a program with responsibility shared between Electrical Engineering and Computer Science teams, the new program was entirely “owned“ by Computer Science. The research projects and affiliations with research sponsors, the teaching work, the publications record, the number of master and doctoral graduates have been documented in a brochure that appeared at the occasion of the Institute’s 10th anniversary. The personnel and budgets during the start-up decade of the Institute are contained in that same brochure, but also in the material compiled for the 20th anniversary. The 5th anniversary of the Institute was ignored, not however the 10th anniversary in the year 2002. An event was organized with Prof. Milan Sonka from the University of Iowa giving an inspirational talk about medical vision and graphics in the 1888-imperially impressive auditorium of the University. The talk was attended by many University VIPs, and was succeeded by a buffet and an open house at the Institute. 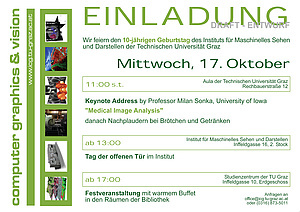 The 2002-event to celebrate the Institute’s 10-year anniversary with a talk by Prof. Milan Sonka, a project partner in medical vision and graphics activities. The Institute produced a 51-page booklet for this 10th anniversary presenting the various projects, its people, the awards, the theses etc. and also explaining the contents of the field. A black & white scan of that 2002-booklet is available. Prof. Milan Sonka as Keynote Speaker in front of Emperor Franz-Joseph at Graz University of Technology’s Aula. A 2003-breakthrough was the approval of two additional full permanent professorships at the Institute. A position for Computer Vision was internationally advertised. Horst Bischof won the competition and got the position. After 4 years as a visiting professor he transferred permanently from his tenured a.o. 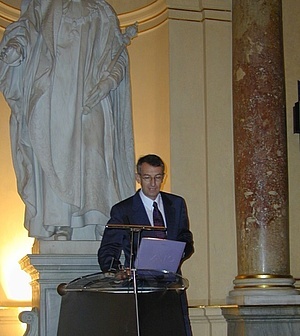 (außerordentliche) Professorship at Vienna University of Technology to Graz on 31st of December 2003. 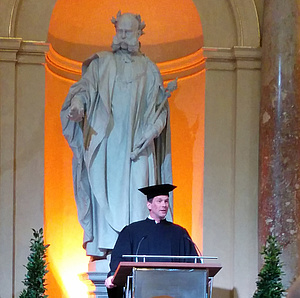 Prof. Horst Bischof in full academic regalia in 2014 at the occasion of a promotio sub auspiciis praesidentis rei publicae of his doctoral student Dr. Andi Wendel in the imperial aula of the University. The second professorship was for Virtual Reality and was also internationally advertised. The position was won by Dieter Schmalstieg, former doctoral candidate, under funding from the Studierstube-project invented by Michael Gervautz and Axel Pinz at the Institute when both were visiting Graz. Dieter Schmalstieg also held a tenured position of a.o. Professor at Vienna University of Technology and moved to Graz on the 1st of October 2004. 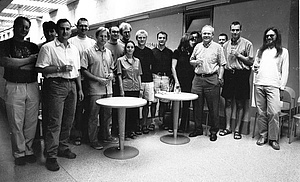 Especially remarkable is the fact that Dieter Schmalstieg had just won a large START research grant (at the moment the second grant of that kind ever to be awarded in Computer Science) and that he brought this research grant and this fairly large team of researchers with him to Graz. This is perhaps the right place to thank Vienna University of Technology for providing Graz with this excellent talent. By 2004 the steady stream of changes in the law and in the organization of Universities made it possible that they had finally been released from their role as subordinated offices of the Ministry of Science. They then changed their status to independent entities under their own management. While Horst Bischof and Dieter Schmalstieg had been civil servants with civil service pension rights in Vienna they became employees in Graz, although not of the Government but of the University. Ministerial restrictions fell for the internal structure of a University. As a result Graz University of Technology changed its organization and formed a new School of Computer Science . Our Institute became one of 8 Institutes in the new School. At that time this was the Institute with the greatest number of full professors, the greatest number of doctoral candidates, the largest publication record and the most voluminous research budget. Another advantage of the status change of the University was the freedom of starting academic programs without the painful restrictions by Governmental supervision. Horst Bischof became instrumental in the setup of a committee to define such a new program and served as the Dean of Students. The new program went into effect in 2006 and has evolved into a success story. 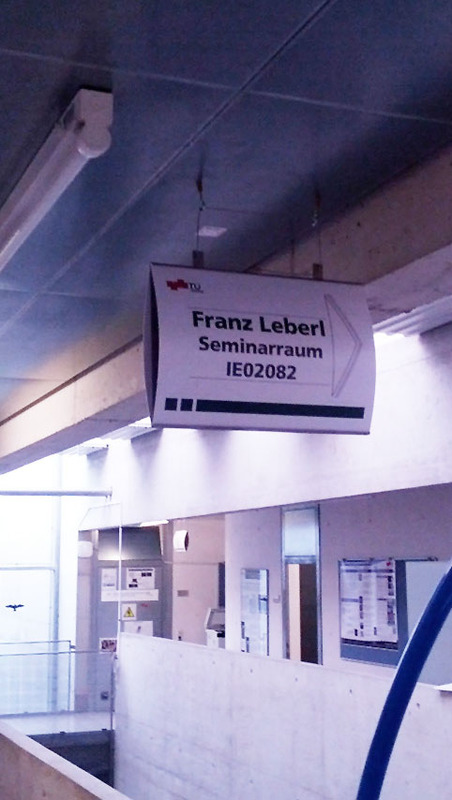 In 2008 the Institute was 16 years old, just as old as the professorship of Franz Leberl. However an invitation to celebrate Franz Leberl’s 25th anniversary as a governmental civil service employee was still issued by the University. To get to these 25 years the government added Franz Leberl’s year in the military service of 1968 and the earlier 8 years in a civil service University position from 1976 to 1984, then as a.o. Professor of Photogrammetry. By 2008 the 16 years at the Institute from 1992 onwards were interrupted by 8 years leave of absence, but this did not affect the counting for the anniversary. Gerhard Reitmayr was appointed to the 4th professorship on the 1st of June 2009. He had spent 5 post-doctoral years at Cambridge University on cutting edge research in Augmented Reality. In Vienna he had been a doctoral graduate of Dieter Schmalstieg. His professorship focused on Mobile Augmented Reality, a topic that has been cemented at the Institute not only by his arrival, but also by a new Christian-Doppler-Laboratory with a staff of 14 people. Funding for this additional professorial position was again achieved by the conversion of an assistantship, augmented by contributions from grants and project contracts. The term limit for this position was 5 years. Prof. Reitmayr built the Institute’s group on mobile augmented reality in the period 2009 to 2013. The Institute’s development coincides with an enormous increase in the importance of visual data. Bill Gates called the period 1998–2008 the “First Digital Decennium” and justified this observation with the increases in PC installations, cell phone penetration, broadband accessibility and the advent of the digital image, all defining this decade. Note for example that the CCD as the heart of any digital camera was not invented until 1969. In 2009 George Smith and Willard Boyle who worked at the AT&T laboratories had been awarded with the Nobel-prize for that invention. Considering the appearance of nearly no-cost storage, ever improving sensor resolution and reducing sensor cost as well as Graphical Processing Units GPUs one may argue that digital infrastructure constraints to the processing of visual data have evaporated. Miniaturization and cost reduction in combination with smart phones, and personal assistants and wearable computing have converted the once exotic ideas for mixed and augmented reality to a mainstream topic of research and a field of innovative commercial activities. The Institute’s evolution is fueled by these dramatic changes in the digital World. Research contracts during the initial years were at an annual level of perhaps € 300,000. But this has grown to € 3.3 million in 2011. The academic scene has changed enormously. Annually about 4 major international conferences on Computer Vision take place, each of these motivating in excess of 2,000 scientists to travel worldwide. Additionally there are regional as well as national conferences and workshops. Augmented, Mixed and Virtual Reality conferences such as the annual conference by ACM-SIGGRAPH attract in excess of 30,000 attendees. Clearly these dynamics in the broad field have been the reason for the ones in the evolution of the Institute. Computer Graphics has its roots in computer science and was an extension of applied mathematics with its long tradition in geometry and geometric algorithms. From a fringe existence in the early years of academic computer science the topic has moved center stage today. Computer Vision (by contrast) was first seen as a topic associated with sensors and electronic hardware. Its home originally was therefore in electrical engineering teams where it was called Image Processing. When computer science discovered imagery and pixel processing as an application of mathematical and algorithmic concepts the name Computer Vision was introduced towards the end of the 1980s. As a result of that change, the field took a rocket-like development. By the time of the Institute’s kick-off in 1992 the separation between computer graphics and vision was rather profound and internationally accepted. It was a special opportunity for Graz that a new Institute could be set up where it was possible to avoid the separation of the fields. Yes, there are separate scientific communities, conferences, journals and books. But at their roots, there is a joint tool kit of methods and concepts for both Computer Vision and Graphics. In 1992 ours may have been one of the very few academic teams globally where Graphics and Vision were combined. It is thus gratifying that today a joined view of vision and graphics has become an international trend. There was even a new term invented to describe the combination of graphics and vision, it was called “Visual Computing”. A review of essential numbers quantitatively assessing the productivity of the Institute in teaching, research and technology transfer is contained in a web-presentation for the 20th anniversary. We offer a list of all completed doctoral projects for your convenience. A party had been organized to celebrate the 20th anniversary of the Institute’s inception which was in the year 1992. The main topic of that party was a talk on Visual Computing by Professor Luc van Gool from the Swiss Federal Institute of Technology. The full program is available along with the statistics for various performance numbers. The Institute started out as a 7-people team. A lot has changed over 20 years. The significant statistics are summarized in this table with the information from the separate 20th anniversary webpage. The Institute has developed to a peak performance with higher grant and contract research funds, more publications, more people and more doctoral dissertations than ever in its 20-year history. In 2011 was the appointment of Horst Bischof getting the position of the Vice-President for the Research  of the University. This mirrors Prof. Bischof’s past achievements and is a significant event for the evolution of the Institute. Fortunately, the Institute was able to introduce a full-time tenure track assistant professorship in Computer Vision to fill the gap left by Prof. Bischof’s new responsibilities. This new position was internationally advertised and won by Thomas Pock in 2012 who then started to develop his leadership role in the Institute. More on Tom Pock will be reported below. At the occasion of Franz Leberl's status change into Professor Emeritus on the 1st of October 2013 a formal send-off was organized for him. This was the front of the 4-page announcement and program. Photos from the event can be seen in this gallery. The title page of the 4-page invitation for the send-off event for Franz Leberl at the occasion of his change into Professor Emeritus. In 1992 I was a “young” old professor since I already was at an age of 47 years. But everything was fresh and it also remained fresh. For example in 1996 when the following image was taken. Now “young” no longer applies. While I have become the beneficiary of senior discounts the Institute has become quite “mature”, but certainly not – and still far from – old. The institute is very strong and nothing in it seems out-of-date. Its networks are well established and many people today do understand how science and research work. There is also an excellent experience pyramid with post-doctoral experts helping fresh talents with their brand new engineering diplomas [Dipl.-Ing.] and there is a great reputation that continues to grow. Snapshot from an annual summer outing (around 1996) attended by 18 staff members, some stayed home and one took the picture. From the initial 1993-staff only Michael Gruber (5th from left) remained at the Institute. Axel Pinz is in the front with sun glasses. The red-haired lady with sunglasses (6th from left) is Dr. Ruth Eberhardt, then there is the Institute’s controller. Franz Leberl is 3rd from the right. Stefan Scherer is 2nd from the left and Manfred Prantl the 8th from the right in last the row. At this time of farewell I am truly happy about the Institute, and confident about its future. The next decade will be defined by the smart phone, the graphic processors, the sensors with ever increasing capabilities at reduced costs and thus in the form of ubiquitous networks. Storage capabilities do advance in volume, speed and reduced cost. Data transmission is defined by higher bandwidth networks. Computing also gets increasingly miniaturized. This all feeds the expectation that Visual Computing continues to evolve very dynamically. The Institute is mature in years and in institutional experience, and yet its team is very young, very dynamic and very ready to continue making its mark. Our University will be challenged to continue its support for this evolution, as it did in the past. How much would I want to be young again and able to participate in the exciting new things being created with images. So much remains to be done! Inside that class room is an assembly of all theses supervised by Franz Leberl, as well as a bust that was 3D-printed from data collected automatically by a structure from motion workflow. In 2013 not only Franz Leberl changed into an Emeritus, but also Gerhard Reitmayr left due to a career choice to work in industry. As mentioned above, his position originally was term limited to 5 years. That limit was cancelled and therefore the professorship was upgraded, also in response to Prof. Reitmayr winning a professorial offer to move to the University of Innsbruck. A successor and thus 3rd professor has been found in Vincent Lepetit from France who has spent recent years producing highly regarded and internationally praised research, he was teaching at the Swiss Federal Institute in Lausanne (EPFL), Switzerland. Prof. Vincent Lepetit joined the Institute on the 1st of February 2014 to continue the development of Mobile Augmented Reality. A 4th professorship for Mobile Vision has been funded in cooperation with the Austrian Institute of Technology. This position was won by Thomas Pock. He accepted this professorship on June 1st, 2014. In the process he relinquished a special Assistant Professorship that would have converted to an Associate position upon completion of the Habilitation. Prof. Tom Pock assumed his professorship on the 1st of June 2014 to advance the field of Mobile Vision. That Assistant professorship is currently vacant and presents a path towards a 5th professorship. It is the result of the appointment of Prof. Bischof into the position of Vice-President of the University. The Institute is now the only one at Graz University of Technology with two START Prize Winners. The START-prize is the highest paid award for young researchers with a prize money currently in excess of € 1 million. Dieter Schmalstieg won it in 2002, back then still at Vienna University of Technology, but much of the research under this funding was performed in Graz. The second winner is Thomas Pock for his work on Variational Methods in Computer Vision. 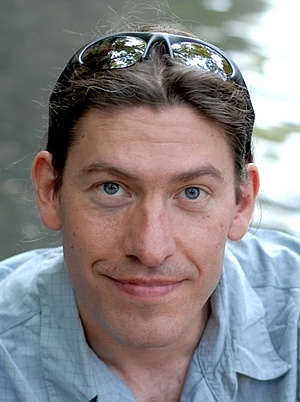 Reinhard Danzl won this honor in 2004 with his thesis on Integrating Shape from Stereo and Shape from Focus. 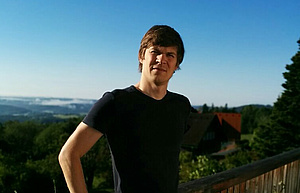 Andreas Wendel won his honor in 2013 with a thesis on Scalable Visual Navigation for Micro Aerial Vehicles. 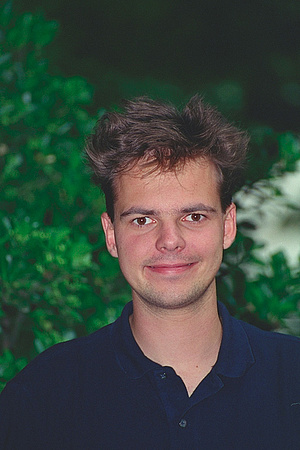 Markus Steinberger completed his achievement also in 2013 with work on Dynamic Resource Scheduling on Graphics Processors. The formal promotion ceremony is a fairly big deal, not only for the high achiever earning the honor but also for the University. There exists a considerable press coverage and attention is being received by high political representatives: the country’s President typically personally attends the ceremony at Graz University of Technology. 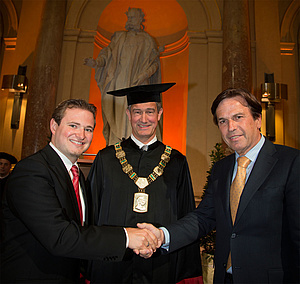 The 2014-doctoral promotion of Andreas Wendel under the auspices of the President of the Republic of Austria, in this case represented by the Governor of the State of Styria, Mr. Franz Voves. The event took place at the Aula of Graz University of Technology. 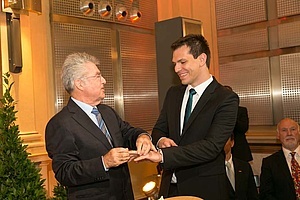 The 2014-doctoral promotion of Markus Steinberger under the auspices of the President of the Republic of Austria, Dr. Heinz Fischer, at the Aula of Graz University of Technology. Having difficulties to put on the presidential ring. We occasionally hear from previous associates of our Institute that they have started or helped to start a business. So we assembled a list of these entrepreneurial people and projects. The following may be incomplete, and we apologize if it is. Connections between this entrepreneurship and the Institute will vary a lot. Michael Kofler, for example, had been a published professional self-employed author before he embarked on a doctoral project with us. Others started their entrepreneurial activity many years after they had completed their academic work. Some actually are straight “spin-outs” from their projects at the institute. We find it truly rewarding to see such a list counting more than 20 entries already. The class was for those students of Applied Mathematics who specialized in Information Processing. Today Austria’s national research center Seibersdorf is the Austrian Institute of Technology.